Analysts and brokerages see the expected listing of Chinese firms in global markets like the MSCI divert a significant amount of FPI flows to China, exacerbating India’s problems. NEW DELHI: With the Rupee still at risk from a variety of external factors, including an ongoing decrease in foreign portfolio investor (FPI) capital flows and high oil prices, the Reserve Bank of India might be pushed into issuing NRI bonds again in order to offset the decrease in FPI inflow. NRI bonds are forex deposits raised from non-resident Indians at attractive rates for 3-5 years. While FPI inflows have been lower all through the previous financial year, analysts and brokerages see the expected listing of Chinese firms in global markets like the MSCI divert a significant amount of FPI flows to China, exacerbating India’s problems. “Our China strategists estimate that possible entry into benchmark indices could push up to $100 billion into the China markets by end-2019,” Bank of America Merrill Lynch observed in a research note. The resultant impact on Indian FPI flows could see the RBI raise up to $35 billion via NRI bonds to prop up any negative impact to the Rupee and offset the slowdown in FPI flows. Risks to the Rupee might also be increased by the new hawkish policy of the RBI, which hiked rates for the first time in three years last week. “We believe the recent strength in the INR (Rupee) over the past couple of weeks could reverse in light of the tightening/hawkish policy stance of the major global central banks and if the FPI outflows continue. We are also concerned about the negative balance of payment situation this year, especially given the elevated oil price environment...,” observed Credit Suisse’s Jitendra Gohil, CFA, Head of India Equity Research, Wealth Management, India and Premal Kamdar, Research Analyst. In this context, BoFAML predicts that the RBI would go ahead with issuing the NRI bonds if crude oil remains at above $70 per barrel. 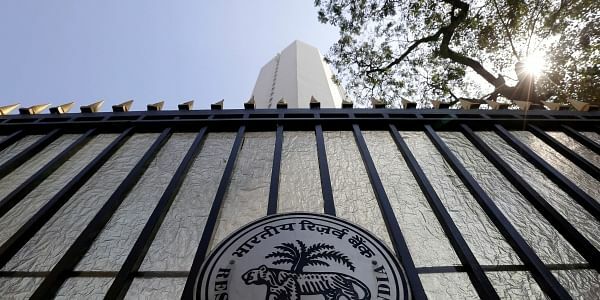 “We grow more confident that the RBI will issue a fourth tranche of NRI bonds to raise, say, $ 30-35 billion, to offset slowdown in FPI flows on listing of China paper in various benchmark indices at a time of higher oil prices,” it said.